HAMILTON, ON – Clifford Brewing has announced details of a new monthly event series that will be kicking off at the brewery later this month. 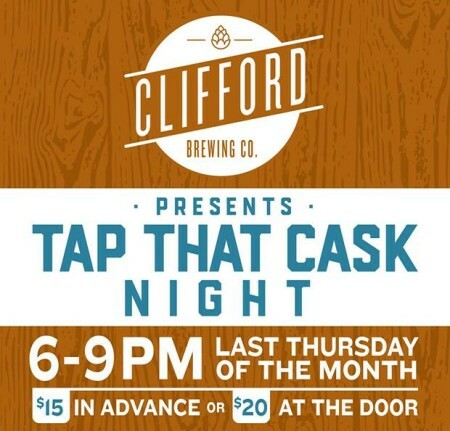 Tap That Cask Night will take place at Clifford on the last Thursday of every month – starting August 30th – from 6:00 to 9:00 PM. Each event will feature new and one-off beers on cask and draught, a selection of light food, music, and a cask tapping at 7:00 PM with samples. Admission is $15 in advance – call 905-560-5444 to reserve – or $20 at the door. For more details, see the Facebook event listing for the series.